David was wonderful and so helpful! He knew his job well and explained everything that he did to us. He also was kind and remembered to wear his shoe coverings in our home, which so many workers forget to do. Grateful for David and his expertise! The day started out for a service call regarding my HVAC; the HVAC tech came out, and everything that needed to be done was going to cost more overtime, instead of buying a new system. The tech gave me options, and I decided to get a new system. He called and the project manager came out and talked me through the process, he also scheduled the appointment for the new system. Jimmy and another gentleman came on my appointment day and was done within three (3.5) hours. You have great employees who guide the customer to make wise and reasonable decision. An HVAC is an investment that needs careful consideration, and for that I am extremely grateful. I also signed up for a plan to have everything checked out. Thanks again! Andy was great, professional, fixed the problem at hand and provided excellent service. 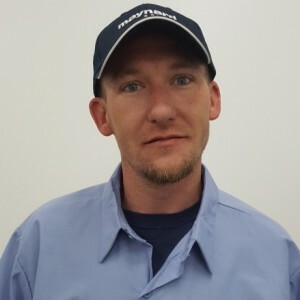 Aric C has a 5-Star rating and leads the company in total reviews, making this pro a ReviewBuzz Rockstar! I'm from Massachusetts, and have moved multiple times. I still play sports and like to go out with friends. Aric did an excellent job. Friendly, efficient and explained what he had done precisely. Will ask for him again when the fall tune up is needed. Aric provided a quality and professional service call. Aric has the most professional, courteous and informative way about him...trust has been established! I have no doubt he will be both thorough in his performance of service and honest in his review with me. 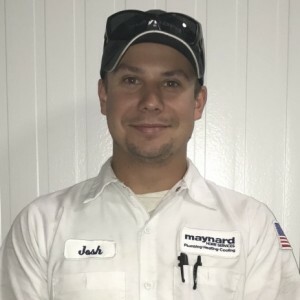 I am grateful that Maynard Select can attract and keep such excellent technicians. Absolutely wonderful service. Aric was so informative, professional and great pricing. Customer service exceeded my expectations! Aric was very knowledgable about our HVAC systems and gave great suggestions for maintenance. We will definitely request that Aric come out again. Excellent, competent, and professional HVAC service from Aric C. employed by Maynard Select. Aric is a 5 Star Employee. He arrives on time he's friendly courteous kind explains what he is doing and why and provides solutions to current situations and service ideas as well as future solutions to issues. I could give Aric A 10 on a scale of 1 to 10, w/10 being the greatest. This is an extremely great company anyway and I have nothing but good things to say about this company. So far every employee I have encountered is top notch and the customer service is parallel to none that I have yet to encounter. Give this man a raise and I don't mean a ladder. Professional, courteous, punctual, knowledgeable, and provided helpful tips. Please schedule Aric for my fall furnace tune-up. Thanks. Aric called, arrived promptly, and serviced my HVAC unit. He was knowledgeable, easy to work with, and provided me with clear answers. I'll definitely use them in the future. Aric was very courteous and friendly. He answered all my questions and explained everything. I was very pleased with his service and signed up for the yearly maintenance contract. Aric C. Arrived within 1 1/2 hours after my call. He was courteous and identified the problem immediately. 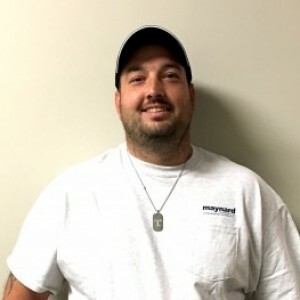 He performed several activities to confirm the problem and talked with his boss about alternatives to other concerns we had HVAC system Maynard installed about one and one-half years ago. We feel he went over and above just fixing the problem. I will request Aric should we have any further issues. He is a good representative for his company. Aric was very polite and knowledgeable. He called before coming and asked if ok to arrive early. Imagine that! He wore shoe covers taking them on and off each time he had to go outside. 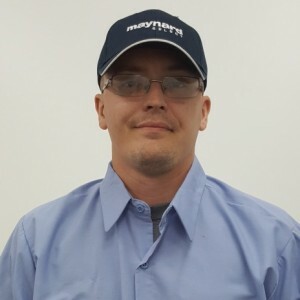 He explained the condition of each of my furnaces as he inspected them and mentioned a few updates I might be interested in but was not pushy at all. Would highly recommend and was very happy with my service. Aric was fantastic doing my preventative Maintenance. Detailed review of system - fixed/tuned things he could on the spot. Explained what he saw, offered me alternatives but did not push me to buy. Exactly how this should work. Thank you. My technician was Aric C and he provided excellent service! He was courteous and professional! 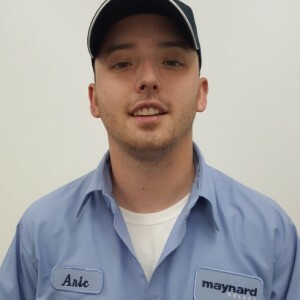 I have always has good service from the techs at Maynard Select. Thanks for coming on a Saturday morning!